It was a week of service for Lee Central High School’s (LCHS) Junior ROTC students in late March. Thursday, March 21 marked the first day as the cadets participated in the Adopt-A-Highway program along Wisacky Highway as one of their community service initiatives. The Adopt-a-Highway program is a promotional campaign designed to encourage volunteers to keep a section of a highway free from litter. The cadets were not alone in this endeavor. 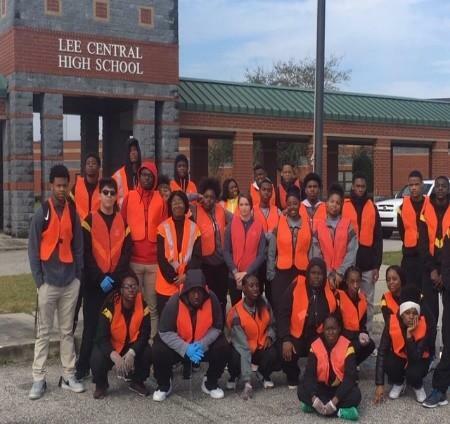 More than 100 students, including LCHS baseball, basketball, and football teams participated in this event, the result of which was an accumulation of 28 bags of trash. This program instills a sense of community appreciation and community involvement with the young cadets. The cadet’s hope by picking up some trash, this will show that they are trying to make a difference in their community, according to JROTC instructors Major Juan Cobbs and SFC Elden Woodland. The students’ efforts will be recognized at the S.C. State House in May 2019. Then, on Saturday, March 23 a remnant of the cadets attended the National Federation of the Blind (Lee County Chapter) program held at the South Carolina Cotton Museum in Bishopville. 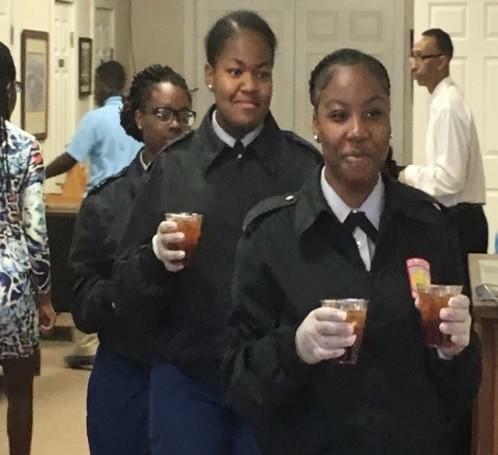 The students served food and participated in the posting of the state and U.S. flags. The purpose of this program was to bring awareness to the needs of the blind and a plan for creating a future full of opportunities for them, according to hosts Linda Dizzley and Willistine Simon. 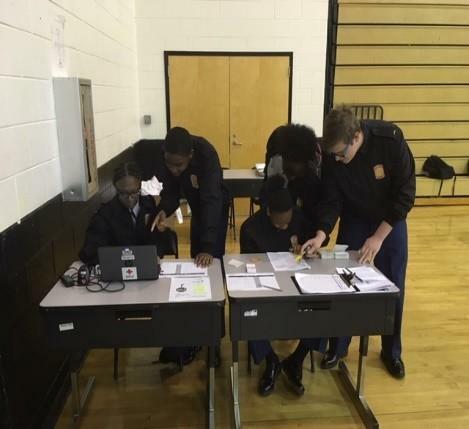 On Wednesday, March 27, LCHS’s JROTC hosted their final blood drive event for the 2018-19 school year. More than 60 donors signed up to donate. Participants included students and staff from both Lee Central middle and high schools. Cadets collected 19 pints of blood, making it a huge success.